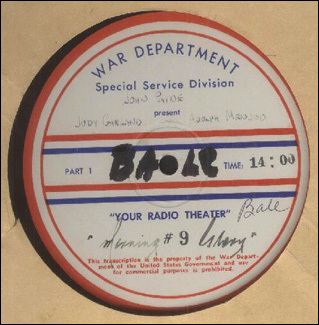 This is the War Department edition of the 1942 radio show "Morning Glory" which was sent overseas to be played for the servicemen. The complete broadcast can be found on the 2005 Smithsonian collection of Judy's radio performance. CBS Radio - "Lux Radio Theater Presents Morning Glory"